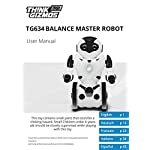 This remote control balance robot is clever, fun and cool! Provides hours of entertainment for the whole family. All batteries required are included, so just open the box and let the fun begin! UPDATED Version 2, released October 2016. 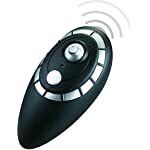 Includes a powerful 2.4Ghz remote control, enabling you to control it from up to 80ft away. Awesome fun for the whole family! His LED lights make him look awesome. 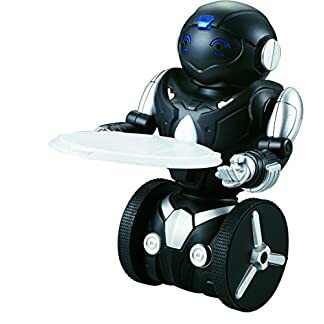 Unlike similar self balancing remote Keep watch over robots, this model comes with a remote Keep watch over which is awesome fun and means You’ll Keep watch over him without having to go to him every time. 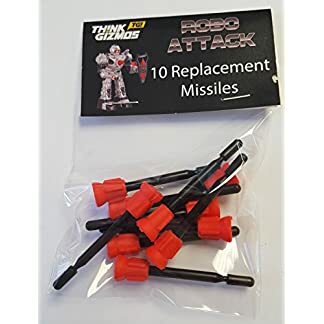 You’ll use as many rc robots at you like at once as each robot will bind to its transmitter when you turn it on, so buy more than one robots and be the ultimate robot master! 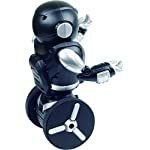 All batteries required are included, so just open the balance robot box and let the fun begin! 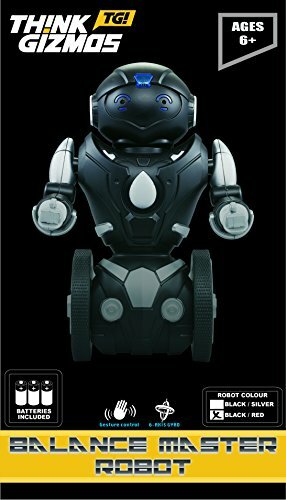 The battery in the remote Keep watch over robot requires charging (charger included). For Ages 6 years and over. Drive – Keep watch over him where you need him to go. 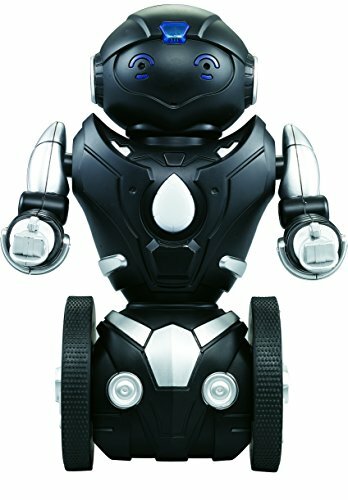 Boxing – In case you have 2 robots they’re going to fight each other. 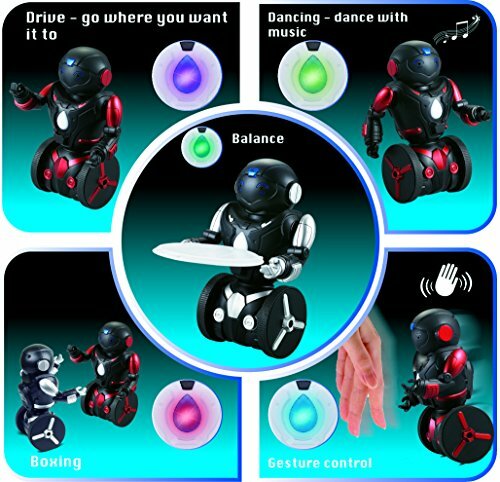 Gesture Keep watch over – He will detect your hand movements and follow your commands. Take a look at our other listing, search ASIN: B01M0QBHYQ, if you prefer Black and Red. 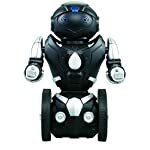 This remote Keep watch over balance robot is clever, fun and cool! Provides hours of entertainment for the whole family. All batteries required are included, so just open the box and let the fun begin! UPDATED Version 2, released October 2016. 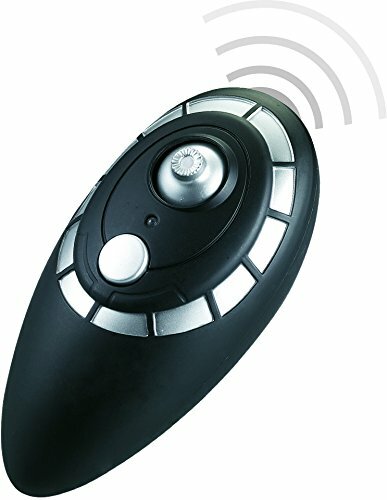 Includes a powerful 2.4Ghz remote Keep watch over, enabling you to Keep watch over it from up to 80ft away. Awesome fun for the whole family! 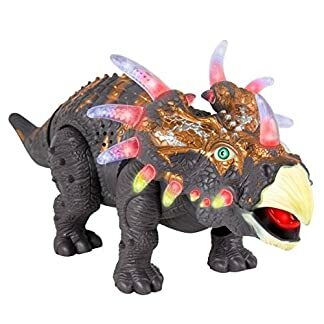 His LED lights make him look awesome. 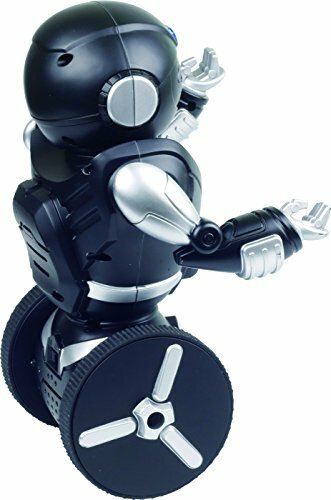 This interactive self balancing robot will also respond to your hand movements and gestures. He is about 9″ tall and comes with a stand and attachable tray to carry things around. For Ages 6 years and over. 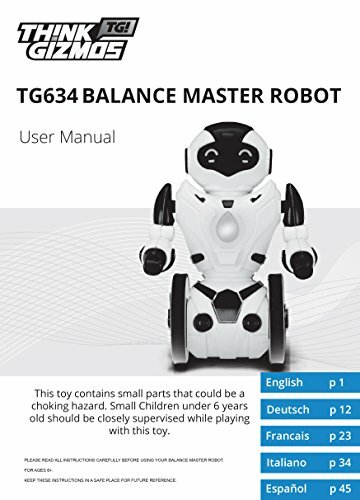 Black & Silver Robot comes in a well-designed box with user manual included in the following languages (English, Spanish, German, French, Italian). 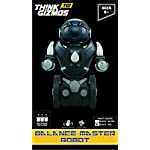 Quality ThinkGizmos branded toy secure by international trademarks.